The production of Cellufine is guaranteed by ISO 9001 and ISO 14000. 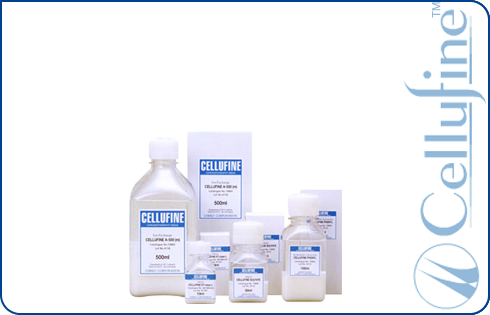 Cellufine SPA-HC is a porous cellulose resin derivatized with an alkali resistant rProtein A ligand. The resin achieved high adsorption capacity by control of its smaller particle diameter. Its low back pressure at high flow rates is due to a unique cross-linking technology and is ideal for use in large scale antibody purification. The media can achieve high adsorption capacity at high flow rates with low back pressure. The resin has controlled of pore size and a smaller particle diameter making it ideal for large scale antibody purification. For purification of viruses, viral proteins and heparin binding bio-molecules. For an efficient removal of Endotoxins from protein solutions. To optimize efficiently endotoxins adsorption capacity two media with different pore size are available(S&L). For purification of metal binding proteins and proteins with surface Histidine, Cysteine of Tryptophan residues. For purification of variety of glycoproteins, nucleic acids, and other bio-molecules containing 1,2 diol functionality. For concentration and purification of nucleic acid related proteins and enzymes. Amino or Formyl groups on cellulose matrix allow preparing specific affinity ligands. To assure maximum ligand accessibility both amino and formyl groups are attached to the cellulose matrix by hydrophilic spacers. Cellufine Affinity chromatography with very selective ligands and insignificant nonspecific binding. Ligands are covalently bound to a cellulose matrix. This assures high number of regeneration cycles and virtually no leaching of the ligand. Cellufine A series contains Di-Ethyl-Amino-Ethyl groups covalently bound to basic cellulose matrix. DEAE Cellufine is available with three different pore sizes(30,500 & 1000 kD) to optimize adsorption capacity based on stock diameter of target molecule. Cellufine C-500 contains Carboxy-Methyl groups covalently bound to basic cellulose matrix. Ezclusion limit of Cellufine C-500 is 500 kD. Cellufine Q-500 contains Quaternary Amino(trimethyl-amino-ethyl) groups covalently bound to basic cellulose matrix. Ezclusion limit of Cellufine Q-500 is 500 kD. IEX-Cellufine is a chromatography media made from the cross-linked and spherical cellulose. Each type offers excellent flow, mechanical resistance. Virtually no shrinkage and swelling is recorded under change of pH or ionic strength. Media can be autoclaved, easily regenerated and depyrogenated. Cellufine Gel Filtration(Size Exclusion) media offers high flow rate and resolution in laboratory and industrial bio-molecules purification. Cellufine GCL-2000 and Cellufine GCL-2000HF has a protein exclusion limit 3'000 kD. Cellufine GH-25 was optimized for rapid bio-molecules desalting and buffer exchange. its exclusion size(3 kD) allows run the separation process up to apparent velocity of 2000 cm/h with target molecule loading up to 35 % of media volume. Mini-Columns are packed with differevt type of Cellufine. Media volume is 1 ml. They are mainly used for an initial media screening and protocol pre-optimization in discovery and preclinical applications.